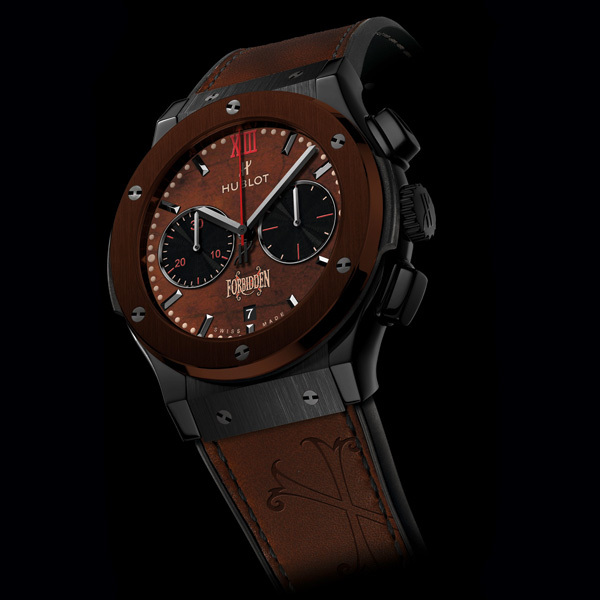 Dubai – 2nd December - After the immense success of the King Power "Arturo Fuente" unveiled in 2012, Hublot is today celebrating the international launch of the ForbiddenX watch in Dubai. Ricardo Guadalupe, CEO of Hublot, and Carlos Fuente Jr, grandson of the cigar factory's founder, made the journey especially for this occasion, accompanied by Marco Tedeschi who represents Hublot in the Middle East. 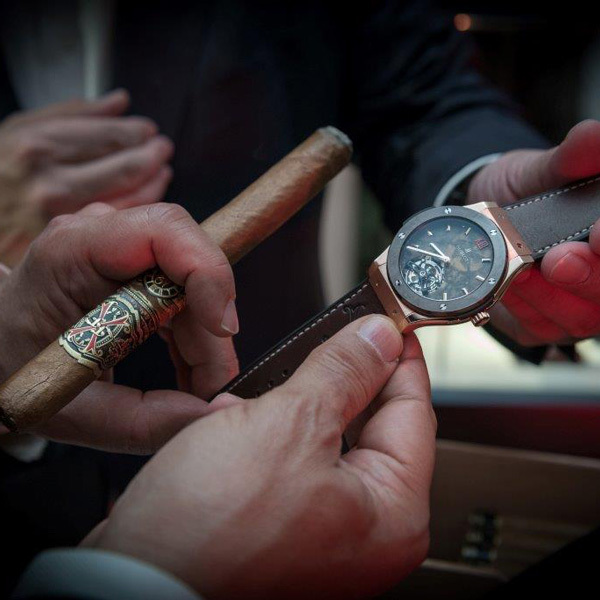 They met for an exclusive event which brought Dubai's greatest cigar connoisseurs and major watch collectors together at the One&Only The Palm hotel, where the ambiance of the famous Château de la Fuente was recreated for the occasion, with its distinctly Cuban flavour. Whilst enjoying music and cuisine evoking Old World Havana, the guests, all sporting their Hublot Panama hat and with a fine ForbiddenX cigar, were able to discover the watches developed in close collaboration with the Fuente family, who are very proud of their Cuban roots. A unique moment. "Arturo Fuente ForbiddenX" watches feature real tobacco leaves in their dial, the same leaves as those used to create the prestigious ForbiddenX cigar. These leaves were sent from the Fuente Estate in Santo Domingo to the Hublot Manufacture in Switzerland so that the engineers could insert them in the dials via a high-tech process where epoxy resin is used to make them stable and rigid. 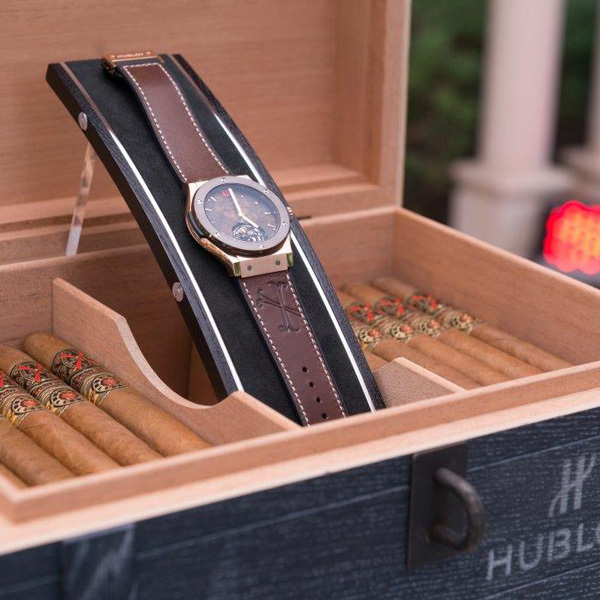 The watches are delivered in their own little treasure chest of a display case; a veritable wooden "humidor" cigar box, specially developed by Hublot to regulate the humidity and ensure the cigars are stored in perfect condition. 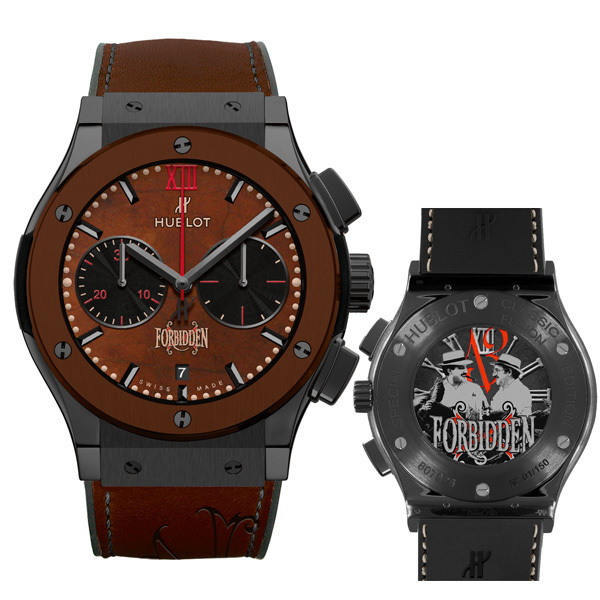 Measuring 45mm in diameter, "Arturo Fuente ForbiddenX" watches are designed in a shade of brown which works in perfect harmony with the colour of the tobacco leaves in the dials. 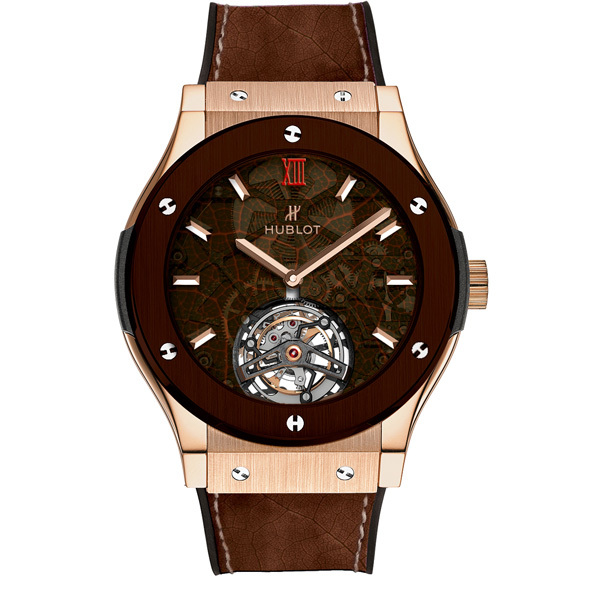 With a brown ceramic bezel, they are available in a choice of 4 different versions: a titanium version, a black ceramic version, a King Gold version (Hublot's famous red gold which contains 5% platinum, giving it an intense red colour and making it an even more precious metal) and a luxury version equipped with a tourbillon movement. The latter is available in an exclusive run of just 30 numbered pieces. The tourbillon cage of the HUB6011 Manufacture movement, with its 155 components and 5-day power reserve, can been glimpsed through the tobacco leaf which forms the dial. 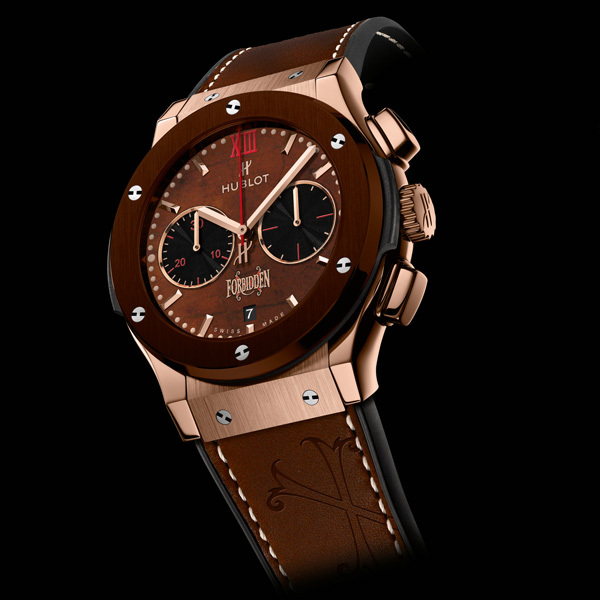 Every aspect was designed, developed and produced in-house by the Hublot Manufacture engineers and watchmakers. 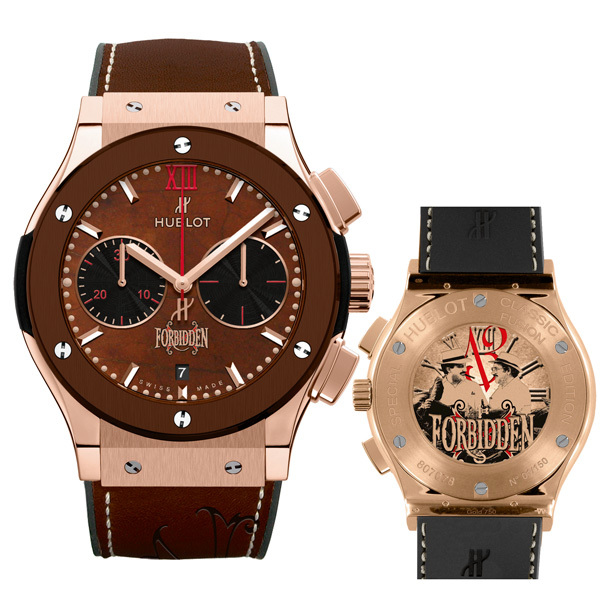 The ensemble is complemented by a toneon-tone tobacco-coloured calfskin strap, featuring the exclusive ForbiddenX symbol.